Which SDK is Used By 80+ Airport Security Vendors? The vision of the interoperable airport requires aviation systems to communicate and work seamlessly with each other. To achieve it, an airport security interoperability standard such as DICOS is inevitable. 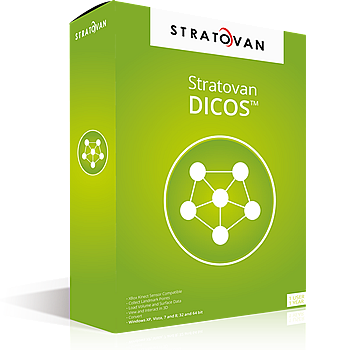 If you’re an airport security vendor, it’s time to ease the pain of achieving the standard now with “the Gold Standard” - the Stratovan DICOS Toolkit. Stratovan is the company with the only SDK for airport security systems for building the vendor-neutral interoperable airport of the future. We also offer a complete suite of Aviation Security products and services such as for Automated Threat Recognition (ATR) enhanced solutions. No one else offers the critical tools and services you need to achieve the forthcoming interoperability standards, which is why over 80 aviation security vendors already use Stratovan’s SDK to create software to achieve interoperability for their systems. At Stratovan, we are focused on software that helps you achieve interoperability based on emerging interoperability standards. Contact us to get on the path to interoperability and contributing to the airport of the future today. Why has Stratovan been so successful in driving real-time vendor-neutral interoperability? Because we only focus on developing software that factors in the complexities of the hardware our software will ultimately run on. Stratovan’s success stems from considering all the constraints, demands and nuances of each individual piece of hardware in use, and how each device needs to communicate with everything else to deliver unified screening. We understand all the devices in airport security that need to be integrated and have the experience, expertise, software development capabilities and services to make interoperability a reality for any vendor’s system. Moreover, Stratovan’s seasoned team has the technical expertise to solve any software problems that arise in airport security environment. We understand and handle challenging data throughput and the compatibility of CT scanners and seamlessly blend this with systems that are far less performance constrained. Find out why so many security vendors – including all the major players – entrust Stratovan’s interoperability platforms to enable system and workflow integration and drive real-time operational interoperability. No other solution is used in as many vendor security systems as Stratovan. Stratovan’s DICOS SDK platform is continuously tested in partnership with the TSA (Transportation Security Administration) and Sandia National Laboratories, with the results validating our compatibility with leading airport security systems. Verified by the Transportation Security Administration (TSA), Department of Homeland Security (DHS), and Sandia National Laboratories vendor partners under the OTAP effort. Provide a toolkit standard that is built around a security environment addressing some of the existing medical toolkit limitations, i.e., speed, capacity, scalability, etc. DICOS v2, which focuses on data output from EDS, AT, AIT, and QR systems as well as Threat Detection Reports (TDR). Linux, Windows, and OSX; 32 and 64 bit. Supports both file and network I/O. This DICOS software is free and will always be free – there will never be any licensing charges. This work is covered by a TSA contract. The purpose is to provide a free high-quality DICOS library to the airport security market and we would appreciate any feedback your software development team has in regard to the software. Questions you have during the DICOS integration process. Any problems encountered during integration. How long it took to integrate, use, and/or test DICOS for your purposes. Any unmet needs that you have. Any deficiencies in our documentation. Any general comments, pleasant surprises, suggestions, and/or recommendations.